Let’s suppose you’re going to take some friends out on the boat for some water skiing on a beautiful lake for your last summer fling. Of course, you get the boat ready, but what about your tow vehicle? Think about it… heavy Denver traffic, hilly Colorado terrain. Maybe some dirt roads-and it could be pretty hot. And all the time you’ll be towing several thousand extra pounds around the Denver and surrounding areas. 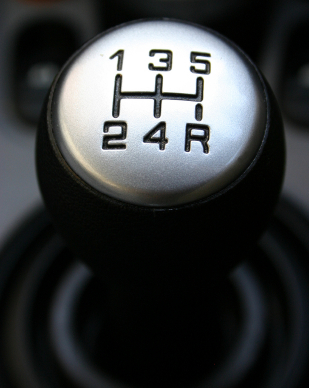 That all adds up to a lot of severe strain on your transmission. It’s going to be working overtime, spending more time in lower gears. The internal transmission temperature is going to be much higher than normal. Denver drivers need to make sure they have enough transmission fluid. If it runs low, the transmission will run hotter and won’t have the protection it needs to cope with the added stress of towing. Transmission fluid breaks down and gets dirty over time. Whether your truck has an automatic or manual transmission, you need to have it serviced on schedule at Express Car Care to make sure it runs efficiently. If you neglect your truck transmission too long, it can fail. You really don’t want to pay for a major transmission repair even with the reasonable rates at Express Car Care. Before you leave your home and head to the lake, bring your vehicle into Express Car Care for a trip inspection. Your Express Car Care service technician will check your fluids, belts and hoses and let you know if your brakes are in good shape. Don’t take a chance on spoiling an awesome vacation with a vehicle breakdown. Thanks for the information. I want to make sure my truck’s transmission shifts as smoothly as possible. I’ll follow your tip about bringing my car into a shop to have it looked at before I ever take it on a trip. Like you said, it would be awful if I ruined the vacation because I didn’t get our transmission checked!